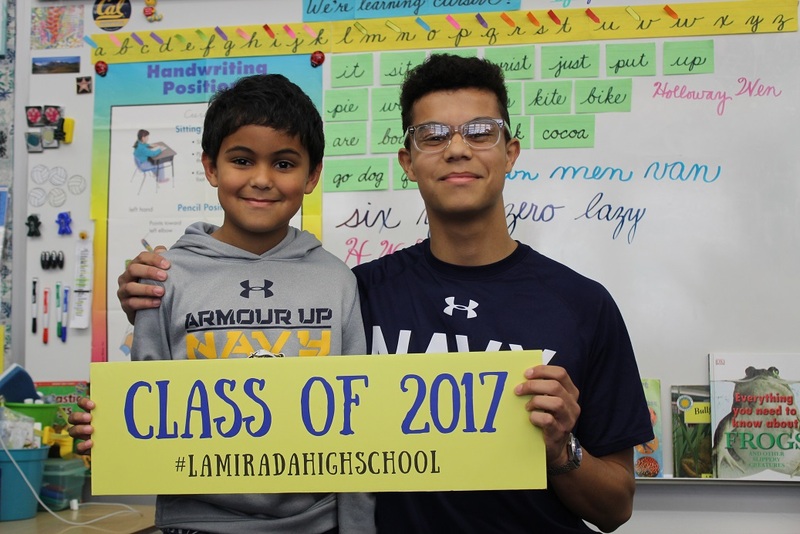 La Mirada High School Class of 2017 student Ryan Rodriguez shared how he decided to attend the Naval Academy in front of his little brother’s La Pluma Elementary third-grade class, as part of Norwalk-La Mirada Unified’s inaugural Kinder to College event. Top seniors from John Glenn, La Mirada, Norwalk and Southeast high schools visited their former elementary schools on May 12 to inspire students to work hard toward their goals and that anyone can go to college. The District launched the event to promote a college-going culture from kindergarten through high school. Students wore graduation caps and gowns or college T-shirts while they talked about the university they will attend and what they will study, or how they will serve the United States in the Marines, Navy, Air Force or Army. Students credited their teachers and school programs, such as the Gifted and Talented Education program and the Matador Scholar Association, for instilling a strong academic work ethic and motivating them to succeed in high school. “It’s good to remember where you’ve came from not only to humble yourself, but to appreciate how far you’ve come,” Rodriguez said. Norwalk-La Mirada Unified decided to focus on elementary schools for the inaugural event, with plans to expand to middle schools next year. 060617_NLMUSD_KTOC1: La Mirada High School senior graduate Ryan Rodriguez (right) talked about how he decided to attend the Naval Academy in his little brother’s (left) third-grade class as part of Norwalk-La Mirada Unified’s inaugural Kinder to College event. 060617_NLMUSD_KTOC2: La Mirada High School senior graduates visit their former elementary schools to talk about the colleges they will attend in the fall and how they got there during Norwalk-La Mirada Unified’s inaugural Kinder to College event. La Mirada High School senior graduate Ryan Rodriguez (right) talked about how he decided to attend the Naval Academy in his little brother’s (left) third-grade class as part of Norwalk-La Mirada Unified’s inaugural Kinder to College event. 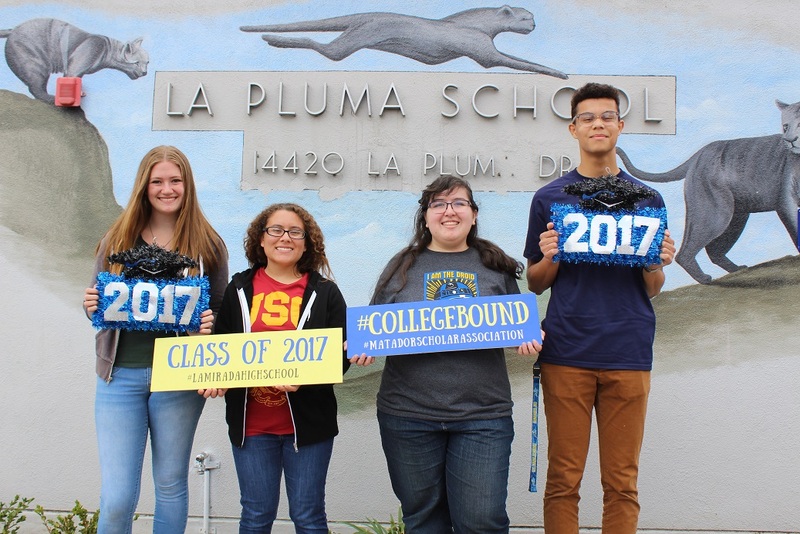 La Mirada High School senior graduates visit their former elementary schools to talk about the colleges they will attend in the fall and how they got there during Norwalk-La Mirada Unified’s inaugural Kinder to College event.